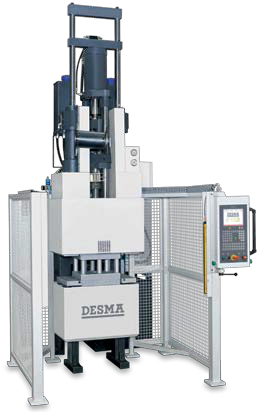 With the ALPHA-C and ALPHA-CTC Series DESMA offers sturdy C-Frame machines for rubber and silicone processing. The range extends from 150 kN to 500 kN clamping force. Comprehensive special equipment by DESMA provides the right solution for every application and industry. In addition, this series is also offered with injection units for TPE applications.